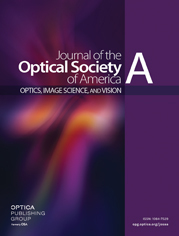 Tear-film dynamics were analyzed by a synchronizing recording of double-pass (DP) and pupil retro-illumination (RI) images with contrast sensitivity (CS) measurements. Simultaneous DP and RI images were acquired in three subjects wearing contact lenses while keeping the eye open. Changes in contrast sensitivity for an 18 c/deg green grating were also estimated. From the DP retinal images, the effect of the tear film is described through the objective scattering index (OSI). This presented a negative correlation with the increase in CS during tear-film deterioration (as observed by RI imaging). These results show a relationship between visual outcome degradation due to tear-film breakup and the increase in intraocular scattering. This work shows a combined methodology for the evaluation of tear-film dynamics.